Showing the main living area with doors non the left opening onto the wrap-around patio. The dining area, kitchen island and conversation area in the distance provides the ideal setting for entertaining. 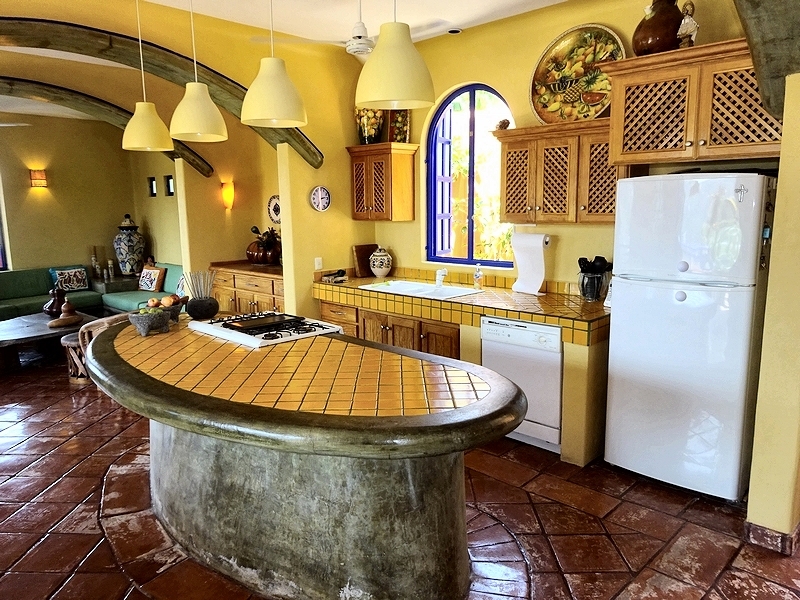 The polished concrete and tile island provides plenty of work space in the fully equipped kitchen. 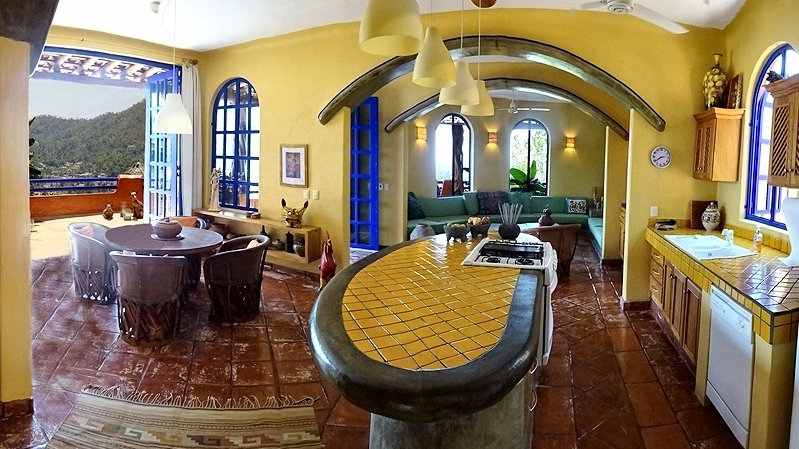 All of the cabinets and doors in Casa Fuerte are made with primavera wood from Chiapas.